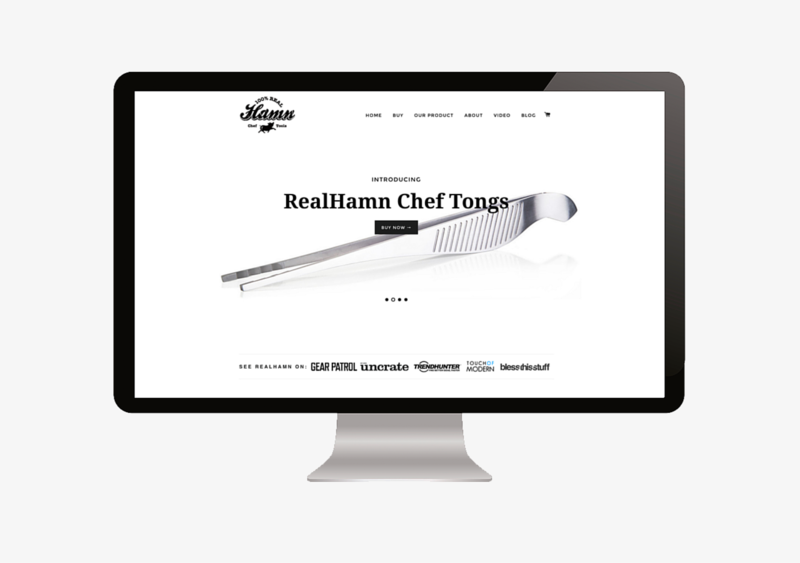 RealHamn Chef Tools is a creator of designer chef tools. The brand is dedicated to creating high-end, functional tools that fulfill the needs of chefs and cooks alike. Concentric Management was comissioned at product inception. The startup was forming. It had no name, identity, branding, or anything of that nature. The slate was completely clean, and ready to be molded under the guidance of the team. The brand was created to appeal to the client’s desired demographic. The goal was to be approachable, informal, yet professional and high-end. 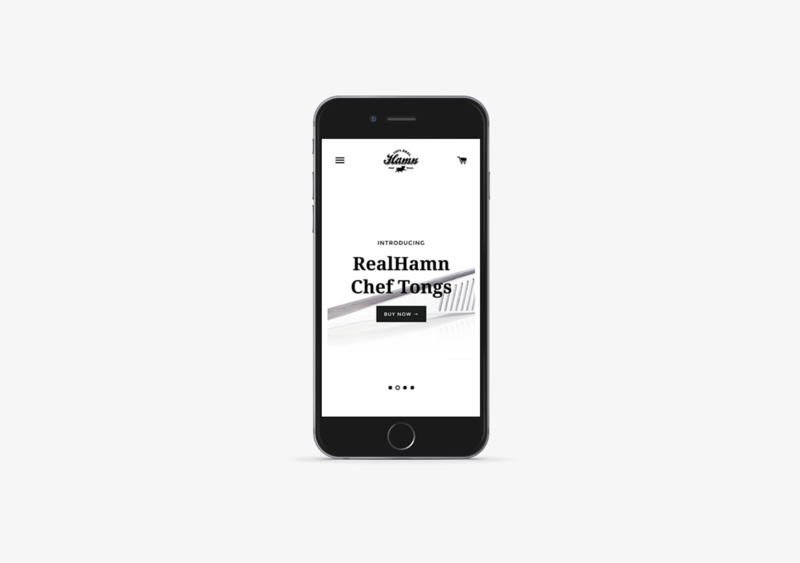 Branding was kicked off by naming the startup (now RealHamn) and creating a logo that embodied the essence of this new venture. Business cards and other print-related resources were tackled shortly thereafter. The Marketing Strategy was laid out in phases to establish and network with related industries, online magazines, and blogs to position the product favorably, create recognition, as well as drive sales. The website was setup using the E-commerce platform Shopify. The site was branded, configured and launched in a matter of day. A separate customized blog was built in the WordPress CMS (Content Management System) and branded to seamlessly match the main website. WordPress is the most used content management system in the world. WordPress was used as later steps in the Marketing Strategy required a versatile system that can be used to engage more visitors, instead of the standard (slightly limited) blog included with Shopify. The site and the blog were then optimized to get organic traffic and organic sales. Analytics were implemented to track the traffic sources as well the overall performance of the campaign. Social Media profiles were branded and crafted to increase audience interaction and exposure. Pay Per Click advertising was instituted to drive additional sales as well as re-market to clients that visited the site and left without making a purchase. An email newsletter was then designed, programmed and implemented to build a funnel, nurture potential customers, capture new leads and maintain communciation with current and past customers. Wow man! I can’t believe how quickly this came together. I am beyond impressed. The branding is on point and the website is amazing. I can’t believe how many sales I’ve gotten in this short period of time! I can see the brand growing and I am really excited for the future!